Suzanne Collins, author of The Hunger Games trilogy, has become the first children’s author to sell over one million Kindle ebooks. Amazon announced today that she’s the sixth author to join the “Kindle Million Club,” which recognizes authors who have sold over 1 million paid units in the Kindle store. “What a lovely and unexpected honor to be in such wonderful company and see my books reaching readers in this exciting new format,” Suzanne Collins said in a statement. Lee Child, author of the sixteen Jack Reacher novels, is the fifth author to reach this milestone. He was preceded by Stieg Larrson, James Patterson, Nora Roberts, and Charlaine Harris. A year ago it seemed likely that Stephenie Meyer would be the first YA author to reach the one million mark. When Amazon first debuted the Kindle Million Club last July, they noted that Stephenie Meyer, Charlaine Harris, James Patterson, and Nora Roberts had all sold at least 500,000 Kindle books. Now, thanks to the success of Mockingjay, Collins has beat Meyer into the club. It’s worth noting here that JK Rowling doesn’t allow the Harry Potter books to be sold digitally. With The Hunger Games movie scheduled for March 2012, I’m guessing Collins’ books will continue to be bestsellers in the Kindle store (all three books are currently in the top ten). Especially since they seem to be as popular with adults as with kids. What do you think? 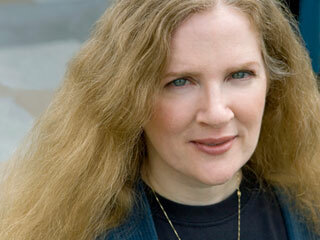 Are you surprised that Suzanne Collins is the first YA author to sell that many Kindle books?